Successful companies design their corporate relocation programs to provide a valuable benefit to their relocating employees. To stay competitive in their industry, many companies review their relocation policies on a regular basis and adjust them as needed to meet industry benchmark performance levels. Travel tools and services tailored to meet their transferees’ needs are one area where a company can stay ahead of their competitors. Our industry benchmarking study shows less than 23% of Relocation Management Companies (RMCs) offer any form of travel tools to clients. 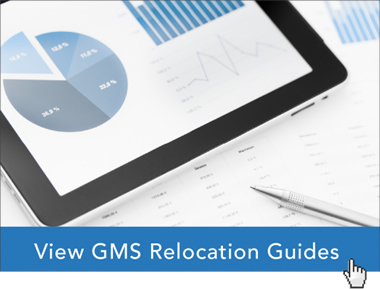 Global Mobility Solutions (GMS) is one of the few companies in the relocation industry to provide a full range of travel tools for transferees. We created our range of offerings in response to our client’s needs. The ability to have travel costs direct billed to your organization or to GMS, with zero markup, reduces paperwork and administrative costs. Your employees won’t need to pay for out of pocket expenses or submit for reimbursements, and your company receives an itemized invoice noting all travel expenses, simplifying the process. Travel Policy guidelines within an online travel tool will communicate guidelines to your employees, ensuring compliance. A good travel policy online portal displays the specific options and features for your company’s policy, with limits that reflect your policy’s guidelines. A good travel tool for companies will keep track of where assignees are located to ensure entry/re-entry compliance as well as the number of days within a country for tax compliance purposes. The ability to track employee travel for safety and days-in-country purposes is a valuable travel tool. Tracking technology using software or log-in functionality can be leveraged to provide valuable travel information. A robust reporting capability is an invaluable travel tool. Comprehensive and customizable reports will help you measure the effectiveness of your travel program, and easily find areas in need of further review. Global Mobility Solutions (GMS) provides clients with a complete, comprehensive travel program, including the ability to book flights, trains, hotels, and cars worldwide, with the industry’s leading range of superior travel tools. Our clients can choose from three different levels of travel services through a tiered travel program. To learn more about our three different levels of travel services, ask our relocation program experts to explain the benefits of our tiered travel program. We can help your company design an industry-leading travel policy with the travel tools to make your transferee’s experience smooth and easy. Contact us online or give us a call at 800.617.1904 or 480.922.0700 today.